There is no doubt that Australia's environmental problems appear huge and overwhelming. Not only is our unique natural heritage under threat but the consequences for agriculture, tourism and the economy may be catastrophic. Can anything be done to halt the destruction? In this powerful and passionate book, On Borrowed Time, David Lindenmayer argues that Australia does have the knowledge and resources to tackle our environmental problems. In addition, he outlines creative and impressive solutions we can all be a part of. As one of Australia's leading ecologists, Professor Lindenmayer delivers a timely message about the scale and urgency of the crisis we face. The New South Wales Pesticides Regulation 2009 requires that public authorities such as the National Parks and Wildlife Service (NPWS) prepare a Pesticide Use Notification Plan (PUNP) that outlines how they will notify the community of pesticide applications made in outdoor public places. The plan allows members of the community to take action to avoid contact with pesticides, if they wish. The NPWS has prepared a draft plan, being an update of the current plan which was published in 2006. The draft plan has been prepared in accordance with the requirements of the Regulation. the information that will be provided including product name and purpose for which it will be used. The plan covers all lands acquired or reserved under the National Parks and Wildlife Act 1974. The NPWS is seeking public comment on the updated draft Pesticide Use Notification Plan. Submissions can be sent to the NPWS by the closing date of 4 pm Thursday 14 May 2015 in the following ways: online, by email or by mail. Get involved in the Australian Museum's Streamwatch citizen science program by joining us for this family friendly morning to learn from our local experts about the amazing creatures that live in our creek lines and waterways. Autumn is a great time to get out there and look for water bugs. Water bugs are a great indicator of the health of our creeks and streams. In May the Australian Museum is supporting groups across Sydney in looking for water bugs as part of the “Water Bug Watch”. Become part of the Pittwater Council and Australian Museums volunteer Streamwatch water monitoring groups and help us to keep our creeks and rivers healthy. Where: Meet at the end of Irrawong Road, Warriewood. Lunchbox Inspirations for busy parents – Lynsey Bradley from Tuckshop will be running a free workshop for Pittwater Council residents. Typically a high proportion of school lunches end up in the bin. Not only is this bad for the environment, but your child may not be receiving the essential nutrients they need to sustain their energy levels. Informed by research with over 300 primary school aged children who told us why they throw away their school lunches, this workshop is a great offering for parents who are often stressed about what to pack in the lunchbox that will get eaten, rather than discarded. Understand the different child ‘types’ when it comes to packing a lunchbox and make sure you pack the right food to match the type of child you have! New research, published in the Journal of Applied Ecology today, reveals the cushion plants, Azorella macquariensis, estimated to be hundreds of years old, are dying due to windier and drier conditions. “This is a plant that has survived for thousands of years, but it’s now struggling to cope with the rapid changes occurring on the Island,” Dr Bergstrom said. Between 2008 and 2013 the researchers found that 88% of the study areas had dieback present, often leaving a desert-like landscape. “The extent of the death of this keystone endemic cushion plant is so severe that it has been declared critically endangered,” she said. The primary cause of the species’ collapse is suspected to be the failure of cushion plants and mosses to withstand changes in summer water availability. “We found that for 17 years in a row there was not enough water available to the plants,” Dr Bergstrom said. “The cushions really act as a refuge for a whole range of spiders, mites and other plants, in what can be a very inhospitable environment,” Dr Terauds said. It is a Tasmanian State Reserve managed by the Tasmanian Parks and Wildlife Service and was inscribed on the World Heritage List in 1997. "We are facing the prospect that in 20 years some of these large herbivores will have virtually disappeared from many of the world's grasslands, savannah, deserts and forests, especially in India, Southeast Asia and Africa," said Dr Thomas Newsome, from the School of Biological Sciences at the University of Sydney. The WED theme this year is “Seven Billion Dreams. One Planet. Consume with Care.” Living within planetary boundaries is the most promising strategy for ensuring a healthy future. Human prosperity need not cost the earth. Living sustainably is about doing more and better with less. It is about knowing that rising rates of natural resource use and the environmental impacts that occur are not a necessary by-product of economic growth. A local community group has launched a legal challenge in the NSW Land and Environment Court to the approval of Chinese mining company, Shenhua’s open cut coal mine on the Liverpool Plains in north-western NSW, which is one of Australia’s most productive farming areas. "Poor water quality, increased sediments and nutrients -- conditions increasingly being faced by the modern day reef -- caused a delay in the Reef's growth of between seven hundred and two thousand years duration," said Belinda Dechnik, lead author of an article published in Marine Geology in May. This research was done in collaboration with the University of Granada and Queen's University, Belfast. A new report by the Institute for Energy Economics and Financial Analysis released today finds Adani’s Carmichael mine proposal is likely to become a stranded asset due to the company’s own restructuring and changes in the global coal market. These significant changes raise serious questions about the need for additional port capacity at Abbot Point, according to Felicity Wishart, Great Barrier Reef campaign director at the Australian Marine Conservation Society. “Adani’s new corporate structure will mean its Carmichael mine project will need to be competitive in the global market and the reality is it’s not. This means the last thing the Queensland government should be doing is supporting the Abbot Point coal port expansion alongside our troubled but precious Great Barrier Reef,” she said. “The Queensland government has the opportunity to stop the Abbot Point coal port expansion dead in its tracks, rather than leaving it to slowly wither away, creating uncertainty for years to come. “The Queensland Government should give tourism operators and concerned local communities certainty and reject its support for the Abbot Point port expansion plan. “It should also stop wasting the tax payer funded time and resources of the Department of State Development on Abbot Point expansion. “The government should review the capacity of all the ports along the Reef coast to determine if there is a need for any further expansion, rather than follow in the footsteps of the Newman Government. “It has always made little sense to expand massive coal ports on the doorstop of the Reef, placing the Reef’s wetlands, marine life and $6 billion tourism icon at risk. “It makes even less sense now there’s mounting evidence the extra port capacity may never be needed,” she said. Members of the public, near and far, are invited to the launch of a new documentary about the efforts, over two decades, of a Kangaroo Valley community group to help save the endangered Brush-tailed Rock-wallaby. The launch of the documentary is on Saturday, May 16, at 4:30pmat the Kangaroo Valley Village Hall, followed by refreshments and live music. The film was produced for the Friends of the Brush-tailed Rock-wallaby by the NSW Office of Environment and Heritage using a NSW Environmental Trust Grant. The Friends of the Brush-tailed Rock-wallaby was established in 1995 after community members alerted the NSW National Parks and Wildlife Service to a diminishing number of Brush-tailed Rock-wallabies within the Valley. Subsequent surveys by the NPWS revealed a handful of rock-wallabies survived in the Shoalhaven and were in danger of disappearing altogether because they were being preyed upon by foxes. So the Friends worked with NPWS in starting a coordinated fox control program which continues today. President of Friends Ms Chris Pryor believes the film highlights the unique partnership between the Friends of the Brush-tailed Rock-wallaby, the NPWS and the local community, and their dedication over 20 years ensuring the conservation of this endangered species. “The documentary shows footage of local conservation measures such as multi-tenure fox control programs and a captive breeding and release program. The film is a tribute to all the work that has been done by many dedicated individuals over 20 years,” Ms Pryor said. “This enjoyable film shows footage of the enigmatic Brush-tailed Rock-wallabies in their natural habitat as well as sweeping views of the valley itself. “Interviews with Friends members, community members and NPWS staff are featured throughout the film and we are excited to share this knowledge and experience with the broader community. “The film makes it very clear that had the Friends of the Brush-tailed Rock-wallaby not formed 20 years ago and worked with NPWS in starting a coordinated fox control program, there would be no Brush-tailed Rock-wallabies in the Kangaroo Valley today. The ongoing support and participation of the local community in the fox baiting and shooting program has been vital to this success”. The Brush-tailed Rock-wallaby is listed as ‘endangered’ under the NSW Threatened Species Conservation Act 1995. The Friends of the Brush-tailed Rock-wallaby aim to raise support for, and public awareness of, the Brush-tailed Rock-wallaby, to raise funds for projects aimed at recovering the species and to promote the control of feral species impacting on rock-wallabies. The Friends hope the documentary will help with this important cause. Twenty years ago the small rural community of Kangaroo Valley, south of Sydney, discovered a handful of endangered Brush-tailed Rock-wallabies were just hanging on in the face of fox and cat predation. Without action it was a virtual certainty the wallabies would be wiped out in the valley. A handful of local residents formed the Friends of the Brush-tailed Rock-wallaby and started working with the NSW National Parks and Wildlife Service to see if something could be done to ensure the wallabies survived into the future. Twenty years down the track "On the edge" looks at what happened and why the Brush-tailed Rock- wallaby lives on in Kangaroo Valley. Produced for the Friends of the Brush-tailed Rock-wallaby by the NSW Office of Environment and Heritage and supported by a NSW Environment Trust grant. New projects worth more than $15 million will strengthen protection and management of the Great Barrier Reef under Phase II of the Federal Government's Reef Trust. Projects include remediating gullies in grazing landscapes to control erosion, a competitive tender to reduce fertiliser run-off from sugar cane farms in the Burdekin region and a further $7 million to help control the outbreak of coral eating crown-of-thorns starfish on high value reefs. Last year the Government delivered on a key election commitment to establishing the Reef Trust with an initial injection of $40 million. Just last month the Prime Minister announced an additional injection of $100 million - this brings the total Reef Trust commitment to $140 million. The Reef Trust invests in important projects with a focus on improving water quality, coastal habitats and the biodiversity of the Great Barrier Reef. This second phase of Reef Trust projects will help to directly address the greatest threats to the Great Barrier Reef. They will make an important contribution to implementing the Reef 2050 Long-Term Sustainability Plan to protect and manage the Reef for future generations. We've drawn on advice from a range of sources in development of phase two of the Trust investments, including the Great Barrier Reef Marine Park Authority Outlook Report and the Australian Institute of Marine Science. Future investments will be informed by an Independent Expert Panel chaired by the Commonwealth Chief Scientist, Professor Ian Chubb. The projects announced today build on the Trust's initial investment of $15 million. As part of the first phase of Reef Trust investments, funding of $1.4 million is being provided to farmers over the next three years for improved fertiliser application practices to reduce the runoff of harmful nitrogen into the Reef lagoon. The projects will result in a significant reduction of nitrogen fertiliser applied to participating farms with the benefits expected to extend well beyond the three-year period, including demonstrating best practice across the industry. Reducing nitrogen runoff from fertiliser is top priority for the Reef Trust, given its link to crown-of-thorns starfish outbreaks - which we are also directly targeting. To date, we have culled over 360,000 crown-of-thorns starfish with specialist divers directly targeting each one. The Reef Trust continues to invest in this important work. We are committed to protecting the Great Barrier Reef for future generations. We know that the reef still retains the values for which it was listed as a World Heritage Property in 1981. The tourism and agriculture industries are leading the charge locally in protecting our Great Barrier Reef. The Australian Government is proud to be supporting local communities who care for their environment. Investment in the Great Barrier Reef by the Australian and Queensland governments for protection, management and research is projected to be more than $2 billion over the coming decade. The Australian Marine Conservation Society (AMCS) today expressed shock and dismay that the extension and upgrades of Port Melville on the Tiwi Islands have apparently occurred without any form of environmental approval. “AMCS is appalled a port development so close to pristine tropical waters has gone ahead with no environmental assessment,” AMCS Northern Campaigner Jacqui Taylor said. “It appears our Northern Territory Environmental Assessment Act is not worth the paper it’s written on. It does not hold anyone accountable for not undertaking essential environmental impact assessments,” she said. “The Northern Territory Government and the Federal Government lack effective processes to adequately assess development impacts in our waters. “AMCS has asked Federal Environment Minister Greg Hunt to urgently seek an injunction from the Federal Court, prohibiting any further development, works or use of the port until such time as an appropriately formulated environmental assessment procedure is followed. “The Port is surrounded by near pristine waters, some of the last untouched waters on the planet. They are abundant in wildlife, corals, seagrass, extensive mangroves, healthy fisheries, and species whose range and distribution is restricted to northern Australia. “The endangered Olive Ridley turtle nests on the shores of the Tiwi Islands. “The NT Minister for the Environment and Minister for Lands and Planning must explain how a development of this scale in such an environmentally sensitive region was able to proceed without following due environmental assessment procedures. “Our Top End coastlines deserve better. The NT Government needs to step up and commit to stronger protection to keep our seas healthy,” she concluded. Two ocean hot spots have been found to be the potential drivers of the hottest summers on record for the Central US in 1934 and 1936. The research may also help modern forecasters predict particularly hot summers over the central United States many months out. The unusually hot summers of 1934/36 broke heat records that still stand today. They were part of the devastating dust bowl decade in the US when massive dust storms travelled as far as New York, Boston and Atlanta and silt covered the decks of ships 450km off the east coast. Research by Dr Markus Donat from the ARC Centre of Excellence for Climate System Science and colleagues has revealed that unusually warm sea surface temperatures occurring at exactly the same time in two very specific locations were likely responsible for creating the record breaking heat. "In the Pacific, there were anomalously warm ocean temperatures along the coastline of the Gulf of Alaska stretching down as far as Los Angeles," said Dr Donat. "On the other side of the country in the Atlantic Ocean, in a relatively small area off the coast of Maine and Nova Scotia, the ocean surface was also unusually warm. Together they reduced spring rainfall and created perfect conditions for scorching hot temperatures to develop in the heart of the US." As part of their study, the researchers compared the large-scale climate conditions in 1934 and 1936 with those of the extensive recent hot drought years of 2011 and 2012 to see if there were any similarities to the dust bowl years. They found that in 2011 / 2012 while there were definitely warm ocean temperatures off the coast of Nova Scotia and Maine, the same was not true along the coastline of the Gulf of Alaska, where ocean temperatures were below normal. "The large scale ocean conditions in 2011 and 2012 were very different from 1934 and 1936, suggesting an event of a quite different nature," Dr Donat said. "Only very rarely have we seen these very specific ocean regions warm at the same time over the past century, but those combined warm anomalies were never as strong as during the two record breaking years of 1934 and 1936." This unusual ocean warming in two regions compounded the impacts on the atmosphere and pressure gradients across the continental US, profoundly changing the weather systems during the spring and summers. The Atlantic warming off Nova Scotia and Maine meant southerly winds shifted further north-east and the transport of moist air from the Gulf of Mexico northward into the Central US was weakened. At the same time, the Pacific Ocean warming expanded a large Pacific high that also contributed to reduced transport of moist air into the central US. "Not only did the warming amplify summer temperatures, it also reduced spring rainfall," Dr Donat said. "To make matter worse, past research has shown the atmospheric dust over Western North America once summer was underway had a positive feedback that intensified the high pressure system even further." "The US has been very fortunate that it has not seen a repeat of this coincident ocean warming at such a level. Should this ocean warming reoccur in exactly the same constellation, because of climate change it is likely the temperature impacts would be even more devastating and those old records may be surpassed." May 7, 2015 - A group of researchers from the U.S. and Australia have announced the completely unexpected discovery of exotic "vinegar flies" (drosophilids) in urban Los Angeles in a paper appearing in the journal PLOS ONE, titled "Strange Little Flies In The Big City: Exotic Flower-Breeding Drosophilidae (Diptera) In Urban Los Angeles." Two species, previously known only from outside the U.S., were collected by the Natural History Museum of Los Angeles County project, Biodiversity Science: City and Nature (BioSCAN). "I was as surprised as anyone when such unusual flies were found in our samples," said Brian Brown, NHM Entomology Curator and one of this study's authors. "But urban biodiversity is an almost unknown frontier." Flies in the insect genus Drosophila (the "fruit" flies, more accurately called "vinegar flies") are among the world's most-studied organisms -- over 16,000 research papers were published in the last five years with the word "Drosophila" in the title. "Drosophila" is probably the only insect genus name most people have heard. Yet we still know little about their natural history, this study shows. One of the newly-noted species, Drosophila gentica, is the second-most common fruit fly in the Los Angeles BioSCAN traps. This species was described in 1962 based on specimens collected in El Salvador in 1954, the first and last time it's been recorded anywhere until now. "Los Angeles is definitely not the first place I'd have started looking for new specimens of this species," said David Grimaldi, Curator at the American Museum of Natural History in New York, also an author on the paper. How could these species of one of the world's most studied organisms have escaped notice for so long in a place like Los Angeles? It all depends on how you look. Previous surveys used fruit or other baits to catch vinegar flies. This study's authors think that may be why these species were missed -- both of these newly-noted flies breed on flowers, not fruit. This study uses a tentlike insect trap called a "Malaise trap," thirty of which are housed in L.A. backyards, two gardens (including the NHM Nature Gardens), and one school. "The citizen scientists that host these traps share in the credit for this discovery," said Brown," as do the Museum and the Seaver Foundation, both of whom fund the BioSCAN project." Patients around the world will soon benefit from a unique Australian invention, with emergency pain killer Penthrox (commonly known as 'the green whistle') receiving initial regulatory approval for sale in the European and UK markets. Australian healthcare company Medical Developments International (MDI) will use a new low-cost manufacturing process developed with CSIRO to increase their production of Penthrox's underlying drug methoxyflurane by ten-fold in order to meet this large-scale demand. Penthrox is made in Melbourne and has significant advantages over other analgesics such as nitrous oxide and morphine in that it is rapid, self-administered, non-addictive, non-narcotic, safe to use and provides strong pain relief. MDI's CEO John Sharman believes that regulatory approval to sell the product in England, France, Ireland and Belgium is a company-making achievement that has opened the door to supplying it globally. "Hospitals, ambulances, defence forces, national sporting leagues, life savers and other emergency services have been using 'the green whistle' in Australia for more than 30 years," Mr Sharman said. "We believe that Penthrox offers an effective alternative to established products already used in Europe and expanding into this market has substantially increased our business overnight. "Our partnership with CSIRO has been integral to up-scaling our production capacity ahead of this opportunity. Together, we've come up with a new, smarter process to manufacture Penthrox." CSIRO and MDI have been working together for more than 15 years, having developed the initial production process together, to now vastly improving it. The technology will secure their market position as the only global manufacturer of methoxyflurane. "It's through long-term research collaborations that we can help forward-thinking businesses like MDI jump on new opportunities and remain globally competitive," CSIRO's biomedical research program director Dr Paul Savage said. "Our goal is to develop new or improved high value products and smarter, more efficient processes that establish local companies as world leaders in their respective markets." CSIRO invested $750,000 in MDI's technology development through its Australian Growth Partnership (AGP) program, which awards innovative Australian small and medium businesses with access to the organisation's world-class research and facilities to significantly grow their business. Penthrox is sold in 11 countries around the world with regulatory applications pending approval in another 13 countries. Every year, CSIRO works with more than 1000 small and medium-sized enterprises (SMEs) and over 100 biomedical companies. Penthrox is a fast onset, non-opioid analgesic indicated for pain relief by self-administration in patients with trauma and those requiring analgesia for surgical procedures. Penthrox has been used safely and effectively for more than 30 years in Australia with excess of five million units sold. There is growing interest in Penthrox being used in patients undergoing investigatory procedures, as well as operational procedures such as colonoscopy. MDI is an Australian company delivering emergency medical solutions dedicated to improving patient outcomes. MDI is a leader in emergency pain relief and respiratory products. The Company manufactures Penthrox, a fast acting minor trauma and emergency pain relief product. It is used in Australian hospitals including emergency departments, Australian ambulance services, the Australian Defence Forces, sports medicine and for analgesia during short surgical procedures such as dental and cosmetic surgery as well as in other medical applications. MDI is expanding internationally and manufactures a range of world-leading asthma respiratory devices. Head On turns the city of Sydney into a living cross-section of cutting edge photography and video media. Exhibiting across all genres and experiences, Head On is a platform for the passion of the photographers, the excitement of the audiences, the beauty of the medium and the issues photography addresses. Head On is a bridge between Australian and International photographic markets. In 2014 alone, Head On exhibited 55 artists from 18 countries. Festival tours in America, China and New Zealand introduced the international photographic elite and audiences in excess of 500, 000 to the wealth of photographic talent Australia possess with great acclaim. We know photography matters and we show it. See for yourself from the 1st – 31st May, 2015. The Skills Training and Reintegration Initiative for Veterans Education (STRIVE) program - free for ex-servicemen and women who have returned or been discharged in the past five years - is believed to be the first of its kind in Australia. The program is supported by founding partner SoldierOn and chief patron Professor the Honourable Dame Marie Bashir, and will run through the University's Centre for Continuing Education. "As we often focus on the important historic contribution of our ANZACs, we can overlook the needs of veterans who are serving Australia in the present day," said Professor Michael Biercuk, who co-founded the program. "Properly honouring our ANZACs requires more than staring admiringly at sepia-toned photographs, or buying commemorative merchandise. It requires us to take action and support the brave men and women sacrificing so much on our behalf right now. Leveraging the infrastructure of the University was the best way I could see to make a contribution." Professor Biercuk, an experimental quantum physicist, first saw the need for an educational program while working as a civilian contractor in a US Defence agency during the height of the Iraq war. "Working alongside recently returned veterans and active-duty military personnel highlighted not only how much we owe these men and women, but how we can collectively fail to assist those in need of assistance." "There is a critical gap in supporting ex-service personnel who don't have the same urgent needs as those suffering from post-traumatic stress, and who are simply trying to transition the skills developed through many years of military service into a career environment with which they're unfamiliar. With STRIVE, we hope to provide tailored skill development and education to fill this gap," Professor Biercuk said. STRIVE, which will launch as a short-form pilot in late May, will cover skills from how to apply for a job in the civilian market to planning time and balancing priorities, communicating effectively in the workplace, thinking and writing critically, and using information technology. Organisers hope the full program will be rolled out within the next year, and will form the beginning of a signature initiative at the University focusing on the needs and challenges faced by contemporary veterans. "Ensuring we address the needs of our service members will require the support of the public. We intend to keep this free for veterans and need assistance to accomplish this." The 1913 £1 note was then given to Prime Minister Stanley Bruce in 1927 ‘for preservation in the Commonwealth National Library’ by Fisher. The 1913 series of banknotes, of which this £1 note is part, are the first to show the Commonwealth Coat of Arms as introduced by the Fisher Government in 1912 to reflect a more nationalistic vision of Australia. It proved controversial at the time because of the absence of an image of King George. While being kept in a secure vault in the National Library’s collection in Canberra, the £1 note was catalogued in a file described only as ‘specimen notes and other currency’. After some detective work by coin experts and National Library staff, the note was checked by an expert numismatist to appraise and value it. 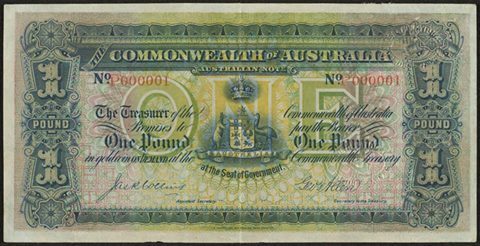 His verdict: ‘This is arguably the most important banknote in Australia’s post-Federation history.’ He estimated its worth to be about $1.5 million. Now in its 12th year, the Head On Portrait Prize is one of Australia’s most critically acclaimed photographic portrait competitions. 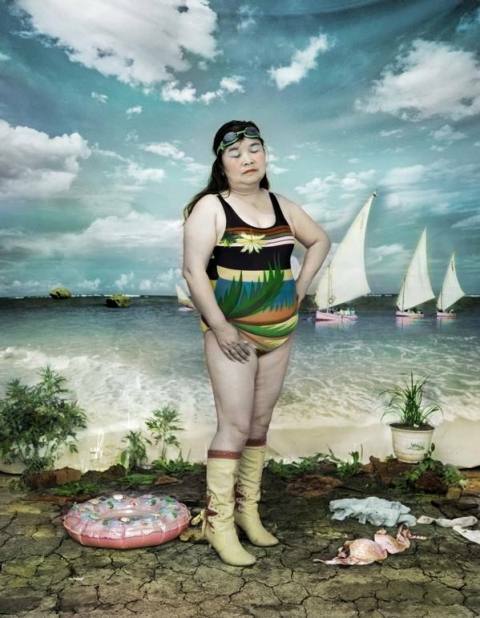 See the works of the 40 finalists, including the three winners of this internationally renowned photography competition, representing a vibrant and diverse cross-section of new and traditional photographic practices. This year we will also feature the finalists of the inaugural Head On Student Prize, which showcases amazing photography by Australian school students. Sydney Living Museums is pleased to present this photography exhibition in partnership with the Head On Photo Festival. First Government House, Sydney by John Eyre. Special admission prices apply for the Towers of Tomorrow with LEGO® Bricks exhibition. Researchers have discovered a new gene that enables plants to regulate their growth in different temperatures. 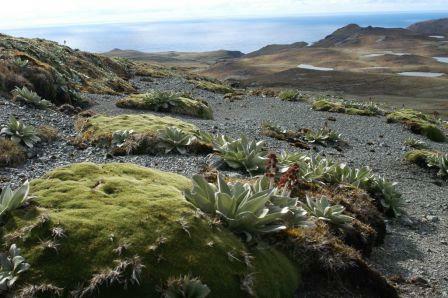 Published in PLoS Genetics, the finding could lead to new ways of optimising plant growth when it comes to climate change. Associate Professor Sureshkumar Balasubramanian, from Monash University, along with colleagues in Spain, made the discovery after analysing natural populations of the model plant Arabidopsis thaliana, commonly known as thale cress. "Plants are highly sensitive to environmental changes and even small changes in temperature impact on their growth," he said. "We were surprised to find that some populations of Arabidopsis simply would not grow when the temperatures increased as little as 3-4 ºC." The researchers set out to find the genes responsible for this growth defect and after years of work, they were able to discover the underlying gene, which they refer to as ICARUS1, reflecting the temperature sensitivity conferred by the gene. "With increasing average temperatures across the globe being predicted to have negative impacts on agricultural productivity, it is important to understand more about how plants regulate their growth," said Associate Professor Balasubramanian, School of Biological Sciences, which was also echoed by Dr. Carlos Alonso Blanco, who co-lead the investigation at National Center of Biotechnology (CSIC) from Spain. Plants that carried a defective ICARUS1 gene stopped growing when the temperature reached hot levels, and continued growing when it cooled down again. "This allows us to envisage novel ways and mechanisms through which plant growth can be optimised," Associate Professor Balasubramanian said. "Interestingly, Arabidopsis isn't the only plant to have this gene, it is also found in nearly all other organisms, which suggests that our findings can be explored in crops." The researchers said the findings provided insights into how plants modulate their growth, and could lead to scientists designing plants that could withstand elevated temperatures. CSIRO scientists have designed and installed a solar field in Cyprus which places the island nation at the frontier of solar energy research in Europe. As most of the country's electricity is currently generated using oil, harnessing the sun's energy through solar thermal technology is an attractive option for Cyprus. It could also power energy intensive desalination plants used to tackle perennial water shortages. "This project was a big step for CSIRO as it's the first time we've deployed this cutting edge technology outside of our own backyard," CSIRO solar research leader Wes Stein said. "It's also the beginning of an exciting collaborative research program, having signed a MoU to undertake joint solar research with the Cyprus Institute. "Our high-performance heliostats have a unique design that is well suited to the rugged terrain on Cyprus' south coast, allowing them to operate very efficiently. "They are smaller than conventional heliostats, which gives the user more control over the intensity of the solar concentration. "They also feature a low cost design which allows them to be installed more affordably." Professor Costas Papanicolas, President of the Cyprus Institute said solar thermal technology had enormous potential for sun-rich countries such as Cyprus. "Like Australia, Cyprus is blessed with an abundance of sunshine, so increasing the penetration of solar energy is an attractive option both in terms of energy affordability and lowering greenhouse gas emissions," Professor Papanicolas said. "We have enjoyed working with CSIRO to install this field in a professional manner, and we are extremely pleased with the performance." It took CSIRO, with local help, five weeks to construct the solar thermal field, which spreads out over a half-acre plot of land at the south of the island, on a hill overlooking the Mediterranean Sea. Consisting of 50 heliostats, the heat generated by the field could bring a two litre kettle to the boil in less than five seconds. This is a suitable size for the Cyprus Institute, the country's premier research institute, to conduct their research, with expansion planned for the future. The experimental facility will be initially used for demonstration purposes by the Cyprus Institute, with a view to longer-term commercial use of the technology in Mediterranean islands and the Middle East. "The Cyprus Institute has been and will be an ideal partner for CSIRO as it is a research organisation with a similar ethos to turn new ideas into commercial products," Mr Stein said. "By working collaboratively through exchange of ideas and researchers, and now with common solar concentrating research infrastructure, we can accelerate the deployment of this technology and make big inroads in reducing global emissions of carbon dioxide." Solar-thermal tower technology uses many mirrors (heliostats) that accurately track the sun, reflecting light towards a receiver on top of a tower and heating a fluid. The hot fluid is subsequently used to drive a turbine for generating electricity and, in the Cyprus Institute research, powering simultaneously a sea-water desalination plant. Thermal energy can also be stored relatively cheaply compared to other technologies, improving potential for large scale power generation regardless of when the sun is shining. CSIRO's Energy Centre in Newcastle is the home of Australia's low emission and renewable energy research, featuring two solar tower pilot facilities with more than 600 heliostats. CSIRO's solar thermal team have set a number of records in the past 12 months, generating pressurised air at 880°C and supercritical steam in research projects. To satisfy European legislation, 13 per cent of Cyprus' total energy consumption must be derived from renewable sources by 2020. QUT research is aiming to improve search engines after finding online self-diagnosis of health conditions provides misleading results that can do more harm than good. Dr Guido Zuccon, from QUT's Information Systems School, found major search engines were providing irrelevant information that could lead to incorrect self-diagnosis, self-treatment and ultimately possible harm. Dr Zuccon and colleagues from CSIRO in Brisbane and Vienna University of Technology, Austria, assessed the effectiveness of results from Google and Bing in response to medically-focused searches. The rush to define ailments online is a significant chunk of internet searches, with Google reporting one in 20 of its 100 billion searches a month was for health-related information. Previous research found 35 per cent of US adults had gone online to self-diagnose a medical condition. "People commonly turn to 'Dr Google' to self-diagnose illnesses or ailments," Dr Zuccon said. "But our results revealed only about three of the first 10 results were highly useful for self-diagnosis and only half of the top 10 were somewhat relevant to the self-diagnosis of the medical condition." The researchers showed participants medically-accurate images of common conditions like alopecia, jaundice and psoriasis and asked what the participant would search for in an attempt to diagnose it. For jaundice, for example, queries including "yellow eyes," "eye illness," "white part of the eye turned green" were searched for. "Because on average only three of the first 10 results were highly useful, people either keep searching or they get the wrong advice which can be potentially harmful for someone's health," Dr Zuccon said. He warned it was also possible those seeking to self-diagnose online would experience "cyberchondria" -- where subsequent searches could escalate concerns. "If you don't get a clear diagnosis after one search you would likely be tempted to keep searching," Dr Zuccon said. "So if you had searched for the symptoms of something like a bad head cold, you could end up thinking you had something far more serious, like an issue with the brain. "This is partly down to searcher bias and partly down to the way the search engines work. For example, pages about brain cancer are more popular than pages about the flu so the user is driven to these results." Dr Zuccon said search engines performed effectively if the name of the illness was already known. "They are great for providing a wealth of information about illnesses and diseases, so if you search for something like jaundice you'll have a lot of useful results," he said. "But our findings suggest it is not the best option for trying to find out what's wrong with you." Dr Zuccon said further research was needed to identify how to improve search engines to provide searchers with the most effective results. "We are currently developing methods for search engines to better promote the most useful pages," he said. "For example, along with colleagues at the CSIRO, we have developed algorithms that return pages that consumers find easier to understand, while maintaining the relevancy and correctness of the medical information presented." The above story is based on materials provided by Queensland University of Technology. New projections of growth in global wine markets to 2018 show Asian countries will dominate global wine consumption and import growth, led by a surge in wine consumption in China. The new study, by economists in the University of Adelaide's Wine Economics Research Centre, project China's wine consumption to grow by between 40% and 60% between 2011 and 2018. "China is set to change global markets for wines dramatically, just as it has been doing and will continue to do for so many other products," says the Executive Director of the Wine Economics Research Centre, Professor Kym Anderson, who is co-author of a Working Paper with Professor Glyn Wittwer of Victoria University. "While rice wine has traditionally been the most common in Asia, income growth in China and a preference swing towards grape wine is gradually changing the region's consumption situation." Professor Anderson says China has been rapidly expanding its own production of winegrapes, and is now the world's fifth largest producer of grape wine, yet its expansion in domestic production has not been able to keep up with its consumption growth. "It is the sheer size of China's adult population of 1.1 billion people, and the fact that grape wine still accounts for less than 4% of Chinese alcohol consumption, that makes the import growth opportunity unprecedented," Professor Anderson says. "We project that China's net imports of wine could rise by between 330 and 790 million liters during 2011-2018 once the full impacts of China's recent bilateral free trade agreements with Australia, Chile and New Zealand are felt." He says Australia, along with France and Chile, stands to gain greatly from this opportunity. "Exporting firms willing to invest sufficiently in building relationships with their Chinese importer -- or in grape growing and winemaking as joint ventures in China -- may well enjoy long-term benefits from such investments, just as others have done and continue to do for many other products besides wine," he says. Professor Anderson says even China's recent "austerity drive" will not be able to hold back the tide of wine demand growth. "The austerity drive has dampened the growth in ultra-premium and iconic wine sales in China, but those quality wines are only a small share of total sales, so we project its impact on the overall volume of wine imports to be minor," he says. May 6, 2015 - Viewing violent news events via social media can cause people to experience symptoms similar to post-traumatic stress disorder (PTSD). This is one of the findings by Dr Pam Ramsden from the Faculty of Social Sciences, University of Bradford that will be presented today, Thursday 7 May 2015, at the Annual Conference of the British Psychology Society being held in Liverpool. Dr Ramsden explained: "The negative effects of exposure to other people's suffering have long been recognised in roles such as professional healthcare workers. Various studies have documented the negative psychological reactions following indirect exposure to traumatised people called vicarious traumatisation." "Social media has enabled violent stories and graphic images to be watched by the public in unedited horrific detail. Watching these events and feeling the anguish of those directly experiencing them may impact on our daily lives. In this study we wanted to see if people would experience longer lasting effects such as stress and anxiety, and in some cases post-traumatic stress disorders from viewing these images." Some 189 participants (participant's mean age was 37 years old with an almost even gender split) completed clinical assessments for PTSD, a personality questionnaire, a vicarious trauma assessment and a questionnaire concerning different violent news events on social media or the internet. These included the 9/11 Twin Tower attacks, school shootings and suicide bombings. Analysis indicated that 22 per cent of participants were significantly affected by the media events. These individuals scored high on clinical measures of PTSD even though none had previous trauma, were not present at the traumatic events and had only watched them via social media. Those who reported viewing the events more often were most affected. Dr Ramsden said: "It is quite worrying that nearly a quarter of those who viewed the images scored high on clinical measures of PTSD. There was also an increased risk for those with outgoing, extroverted personalities. With increased access to social media and the internet via tablets and smartphones, we need to ensure that people are aware of the risks of viewing these images and that appropriate support is available for those who need it." The above story is based on materials provided by British Psychological Society. A new software tool that can predict the severity and spread of destructive bushfires has been released today by CSIRO. The software, known as 'Spark' will give fire-fighting agencies a more accurate view of fire behaviour, informing decisions that could minimise property damage and save lives. Spark takes current knowledge of fire behaviour and combines it with state-of-the-art simulation science to predict the future location of bushfires and the spread of those already burning. The framework uses geospatial data, such as vegetation types, topography and un-burnable elements such as roads and bodies of water, as well as weather data such as air temperature, humidity, wind speed and wind direction.Spark then uses this data to model the spread of a fire based on its specific location and current environmental conditions. Dr Mahesh Prakash, one of CSIRO's computational modelling researchers, described the software as a highly flexible simulation environment. "Spark has the potential to be used operationally for real-time fire spread modelling of bushfires," he said. "This information is invaluable for emergency management decision makers for predicting risk, deploying firefighting resources or planning evacuation routes. "The next step is to work with the rural fire authorities and land management agencies to incorporate Spark into bushfire planning and management processes." CSIRO's bushfire behaviour expert, Dr Andrew Sullivan said that Spark represents the state of the art in fire spread simulation. "We have had the capacity to model the spread of bushfires for more than 20 years. Spark takes that technology into the 21st century by marrying the foundation of our fire behaviour knowledge with the state of the art in simulation science," he said. Spark provides the opportunity to use data and modelling tools to inform emergency management processes, save lives and reduce the financial burden of disasters on the global economy. The Victorian Bushfires Royal Commission conservatively estimated the cost of the Black Saturday disaster to be $4.4 billion. In southeast Australia the fire season is becoming longer, reducing the opportunities for hazard reduction burning. Recent severe fires have been influenced by record hot, dry conditions and in the future, Australia is very likely to experience an increased number of days with extreme fire danger. It is crucial that communities, emergency services, health services and other authorities prepare for the increasing severity and frequency of extreme fire conditions. Spark has been developed as an open framework for fire prediction and analysis, making it simple for fire agencies to incorporate the software into their existing systems and also more easily allow the fire science community to collaborate and keep adding new fire behaviour knowledge. A demonstration version of Spark is available to download via the CSIRO website https://research.csiro.au/spark/ . Spark is being officially launched today at the Australian & New Zealand Disaster and Emergency Management Conference held on the Gold Coast. May 6, 2015 - Local media's sensitive approach to communities trying to cope in the face of trauma helps local people adapt to the stressful events by strengthening community bonds. This is one of the findings of a study by MSc student Suzanne Day from Lancaster University being presented today, Wednesday 6 May 2015, at the British Psychological Society Annual Conference in Liverpool. The study examined how West Cumbrian communities coped with two local traumatic events in a short space of time (the November 2009 floods and June 2010 Cumbria shootings). A total of 77 adults who were living and still live in the area at the time of the events completed a questionnaire about how much they had been affected. Ten also took part in interviews. Analysis found that that communities coped by sticking together and sharing experiences. The role of the media impacted on how the community responded, with local media reportedly being sensitive and helping to facilitate community resilience and the national media largely being invasive. However, there were significant differences in how they reacted to the different tragedies. Suzanne Day said: "The results for the two events were very different with the floods (a natural event) providing evidence of communities pulling together in some cases and being pulled apart in others. This was mainly a result of relative deprivation with communities who perceived they received little support feeling alienated from the rest of the area. The communities that did receive external support banded together with a shared sense of collective identity. "During the shootings the community battened down the hatches not wanting support from any external agencies. Their strong sense of community was reinforced with the presence of national media, which at times they found intrusive. This was in contrast to the sensitive presence of local media which helped bond and strengthen the community." Story Source: The above story is based on materials provided byBritish Psychological Society.